Hey folks, Valkor here. I along with TOV partner in crime "Digispa" had the chance to hang with the folks at Bethesda to get some serious hands on with two titles – Brink and Hunted: The Demon's Forge. Both have potential for some serious greatness, especially with Brink because I haven't played a serious shooter in a loooooong time. But this could be the game to bring me back. Yea, yea I know about the Mass Effects, the Call of Duties, and the Killzones… but Brink looks to be something… special. Just out these sweet pics and vids and we'll be back with a full review. Brink (Digispa) - So if you haven't heard of a little game called BRINK by now, you probably don't play FPS's. BRINK is the newest work of Splash Damage and will be published by Bethseda Softworks with a relase date of 5/17/11 as of writing. The gang here at TOV were invited to a media only showing of the demo in NYC in late February and let me say, this is going to be an awesome game. And that's coming from someone that doesn't like FPS's. 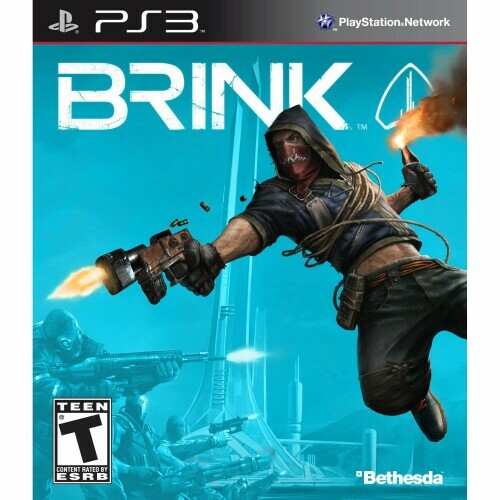 BRINK does a lot of things differently than other games. Most notably, is the S.M.A.R.T. (Smooth Movement Across Random Terrain) system. I don't want to name call, but think of it as being able to move like Faith from Mirror's Edge. Also, we got a good look at the customization aspects of the game. Characters are HIGHLY customizable, with options to change things that I wouldn't have cared about if they weren't an option. Not only that, but almost all customization is layerable. So if you want to give you character a clown painted face you can then put facial hair on and then a mask and finally top it off with a helmet you can. The game looks beautiful and plays even better. Pretty much every cinematic you see in the trailers is rendered in real time. The game play is fast, but not fast enough to leave you confused as to what is going on and who's shooting at you. I left the event feeling like I was getting a present when BRINK comes out. This is definitely going to be a must have when it comes out. 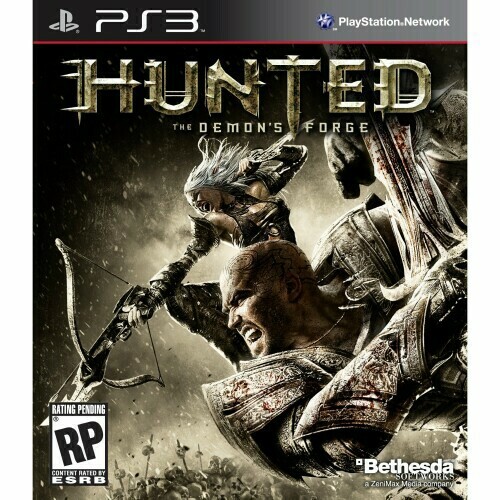 Hunted: The Demon's Forge (Valkor) – Hunted is a 3rd person action-adventure title that places you in control of two players - E'lara and Caddoc. You can either go at it alone, utilizing both characters, or bring in a buddy and with mics handy, team up as you persevere through different levels where teamwork is required (doesn't matter if you go it alone or with a bud, you'll need the ability of both characters to get through). E'lara is small, yet tough and wields a bow and arrow, great for poppin off baddies in a distance. 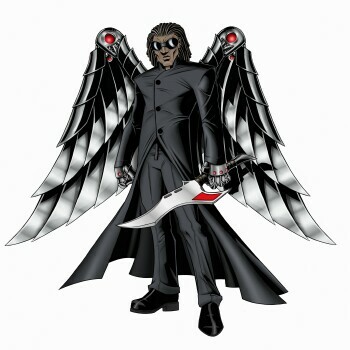 While Caddoc, who's big, burly, but more… mellow, he makes use of swords and shields. I had the chance to play the opening tutorials by myself, which kicks things off with a dream sequence where Caddoc envisions a buxom beauty known as Seraphine. When Caddoc awakens, we then move onto the play mechanics. Afterwards I got to play out a level, with a live partner, where teamwork really shined. I'll be honest, I haven't done too much co-op, even when I played WoW (World of Warcraft to the uninitiated), but playing Hunted with another person was a bit clumsy at first, but once I got settled in to the gameplay I started to catch my groove – though I didn't finish the level. My only negative comment about the game is how long Caddoc takes to do something like lift something or push something; before he actually does it, it took a few seconds (and button presses) to get him started, whereas in most any game where a character does it, it happens in the fly. Regardless, Hunted offers a unique playing experience, one which I look forward to delving in deeper. Brink and Hunted: The Demons Forge will be released on the Xbox 360, PS3, and PC with the first title making a shelved appearance March 22, and the second on May 31 (all according to Amazon, but I will update if need be). Until then, let these sweet images and vids wet your insatiable gaming lust until you can get your grubby paws on the discs.